Celebrate NYE 2017 in Style. Le Jardin LA boasts impeccable mixology and exquisite open-air ambiance complete with lush Eden-esque greenery, reclaimed hardwood furnishings and plush Breton-striped seating. This outdoor lounge will transport the charm and romanticism of Southern France to Los Angeles, serving as an unforgettable hideaway for A-list celebrities, socialites, and taste-makers. Join Hollywood’s crème de la crème and ring in New Year’s Eve 2017 at L.A.’s Le Jardin. Doors open 9:00 pm to 2:00 am. 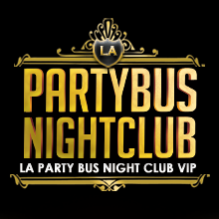 Discover L.A. Top New Years Parties online at www.newyearsnightlife.net. Home and Garden meets high-voltage nightlife on North Cahuenga Blvd at the exceptional Le Jardin LA. The new 9,000-square-foot outdoor lounge evokes the feeling of Southern France, which is accented with olive trees and vines, paved with tiles, and furnished with striped lounge seating and two outdoor fire pits. There is room for 600 with two full-service bars, an intimate dining area, and a Funktion 1 sound system. The venue boast impeccable mixology and exquisite open-air ambiance complete with lush Eden-esque greenery. The garden itself has been designed to resemble a whimsical evening for the elite to enjoy cocktails, endless conversations and live acoustic music beneath the stars. Le Jardin LA is an exclusive destination for Hollywood’s crème de la crème, serving as an unforgettable hideaway for A-list celebrities, socialites, and taste-makers. There’s been something missing in the Los Angeles nightlife and this is exactly what it is. Le Jardin LA is a chic outdoor lounge where you can look your best with fabulous people.